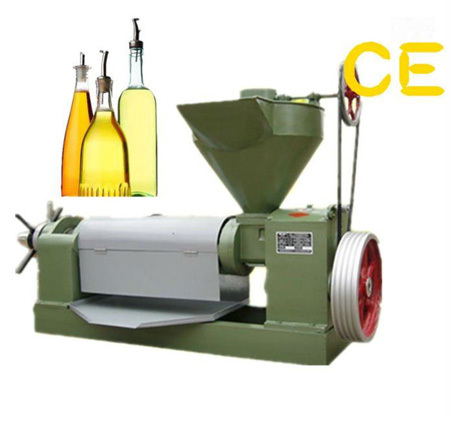 Home»Seed Oil Press»Where to Obtain Quality Rapeseed Oil Mill? Where to Obtain Quality Rapeseed Oil Mill? Rapeseed is far more durable than other oilseeds since it can withstand spring frost. It has a relatively low hull content and has an oil content of about 40-45% oil. KMEC supplies seed oil press for rapeseed. After cleaning, the seeds are fed into oil mills or expeller. An OILTEK Expeller equipped with an independent kettle to heat and cook the seeds so that expelling can be done properly and maximum oil is squeezed to get top quality oil and cake. These eco-friendly machines provide excellent yields.Oil extraction was done exclusively with presses in the old times. Oil extraction is done with expellers as pre extraction before solvent extraction or as direct press extraction in the most situations. Oil Mills can process high oil content seeds like sunflower, rapeseed, castor, sheanut, copra, mango kernels and so forth. In smaller capacity plants, it is mostly used as direct extraction but while the capacity increases, oil mills are utilized for pre extraction. If oil mill is utilized as pre extraction method, then the expelled cakes should be cooled in a Cooler before entering the extraction section. KMEC supplies the top quality Oil Mill machinery at very competitive prices. If you have interested in our rapeseed oil mill, pls feel free to contact us !